The End of Sidewalk Dining? 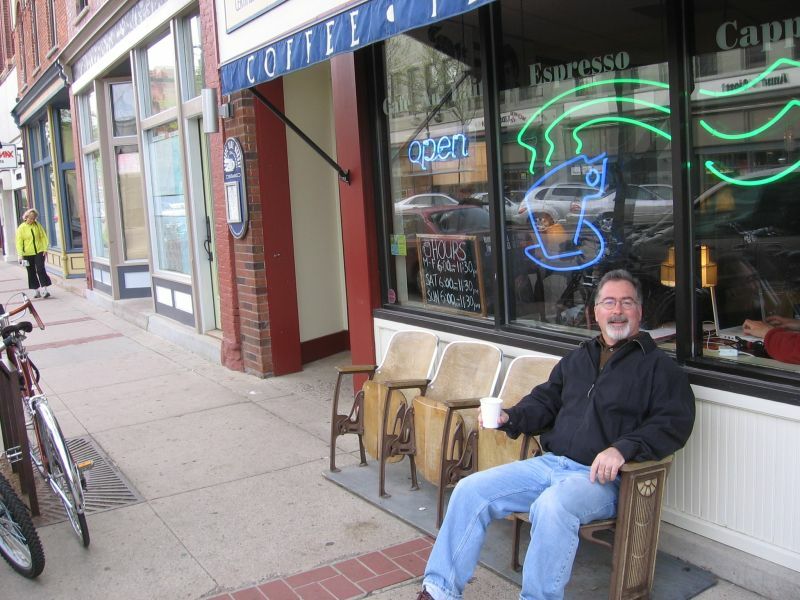 Last night the City Council passed a new Ordinance that may end sidewalk dining in Downtown Northfield. The NDDC has been working for about two years to encourage the City to allow the consumption of alcoholic beverages on the adjoining sidewalks by the customers of licensed vendors. Recognizing that the consumption of alcoholic beverages is a serious matter and should be handled carefully and responsibly if allowed on the public sidewalks, the NDDC researched the practices in other communities, around the state and country, to see what types of requirements might be put in place to insure the public safety. We were therefore surprised when, sometime between the Council Work Session and the First Reading, a new Chapter had been inserted in the Ordinance that extended “the same requirements, review processes, fees, and conditions” to businesses that had long offered non-alcoholic beverages and food on the sidewalks in front of their establishments. When the the NDDC asked that the new Chapter be dropped and that the Ordinance once again focus only on the consumption of alcoholic beverages by the customers of licensed vendors, City Attorney Maren Swanson agreed that when the Ordinance drafting began two years ago, it had focused on controlling alcoholic beverages and that the reference to non-alcoholic beverages and food and the new Chapter could be dropped. Councilor Jim Pokorney came out strongly against such a move, however. He felt that the sidewalks belonged to the City and that they must be brought under control of the City. Councilor Pokorney went on to suggest that by adding more regulations, the City would in fact be facilitating business expansion. Councilors Davis, Denison and Vohs appeared to support Councilor Pokorney’s views and position. Mayor Lansing seemed to have concerns about it and Councilor Nelson clearly thought that it was a bad idea. I didn’t stay for the vote. When the new language was introduced at the First Reading, I talked about it to some of the owners of businesses that currently offer this sidewalk option. These businesses have between four and six seats on the sidewalk and the owners said that if the application, inspections and fees are too much, it just wouldn’t be worth it for them to continue the practice. 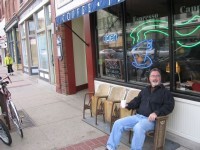 So come on down(town) and enjoy a cup of coffee and a scone on the sidewalk. One of our best loved downtown delights may soon be coming to an end.